First, there was White Hot Chocolate. Then, just when we thought things couldn't get more decadent, one of our in-house chocoholics tried it out as a summer milkshake, adding strawberries and cream. 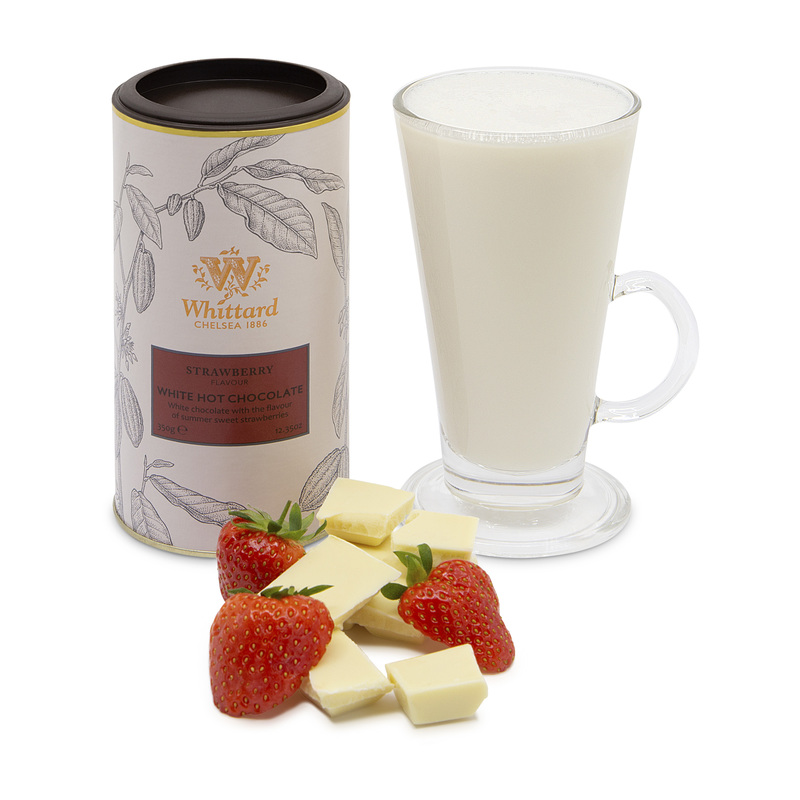 We thought we'd share the fun, by giving you Strawberry Flavour White Hot Chocolate. The result? A summers' afternoon at Wimbledon, armed with a spoon and a bowlful of cream. Strawberry fields forever. Sugar, Cocoa Butter (15%), Skimmed Milk Powder, Whey Powder (Milk), Dextrose, Flavouring, Salt, Emulsifier: E450. 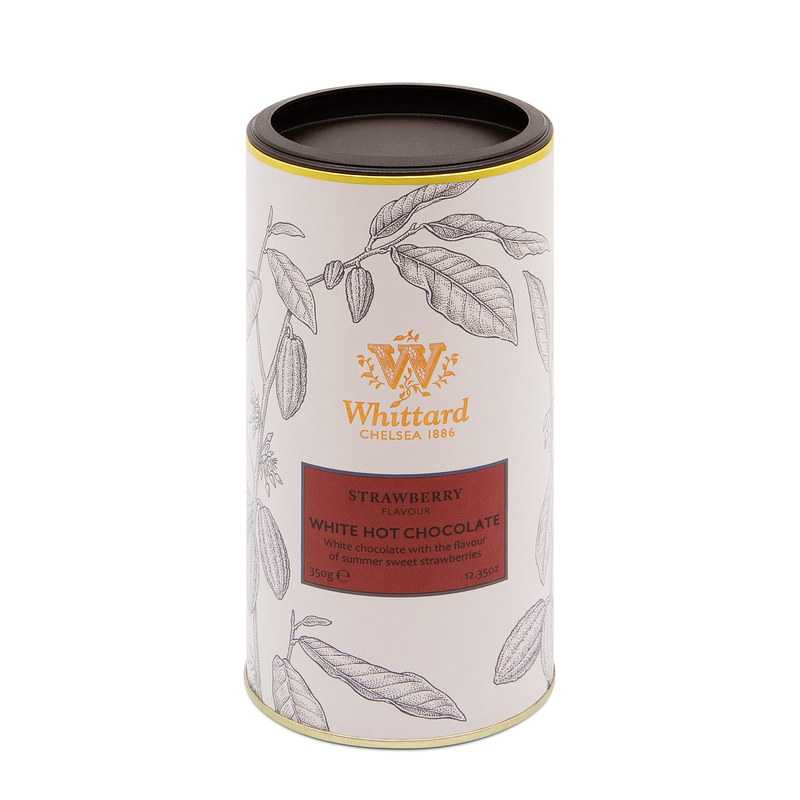 Love this wonderful smooth, sweet, hot chocolate. 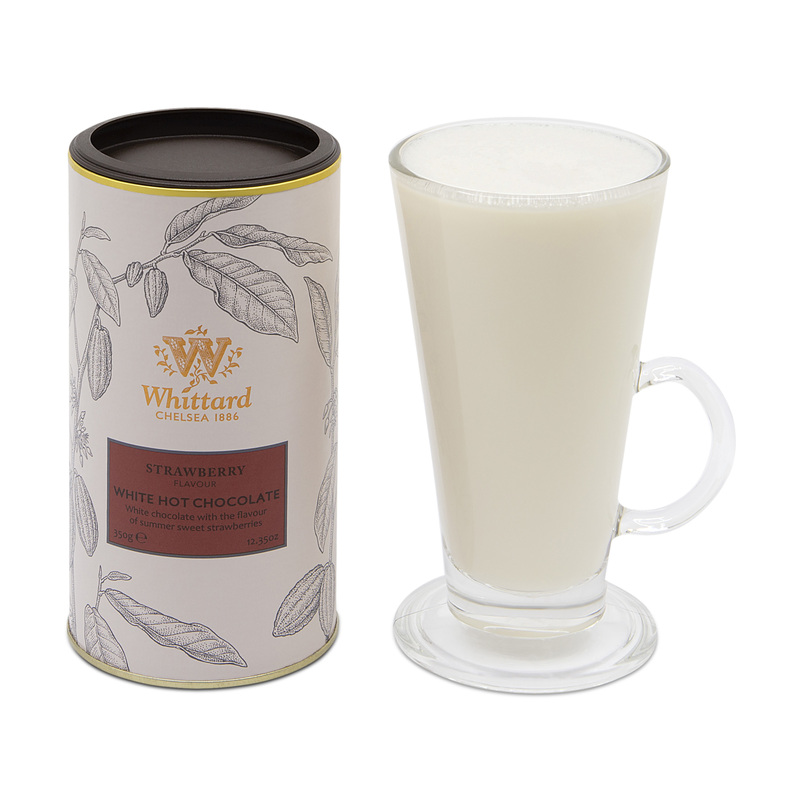 Definitely one of our favourite Whittard drinks.